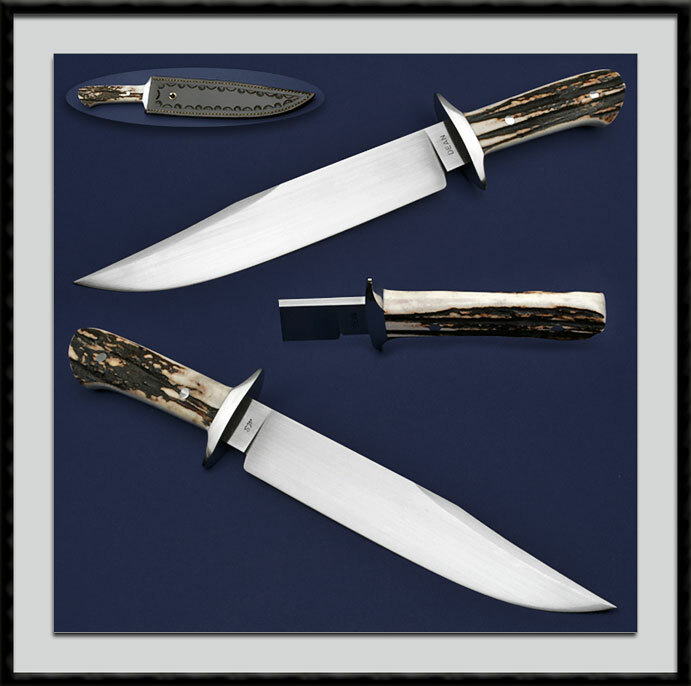 ABS Master Smith Harvey Dean calls this his "Diablo" fighter, 1084 Blade Steel Hand rubbed to a Satin finish, BL = 9 1/2" OAL = 14 1/2", Clip is sharpened, Nickel Silver Guard and a Mortised Stag Handle. Fit and Finish are typical of a Master Smith. Comes with Harvey's Custom leather sheath pictured. Condition is New, direct from Harvey's shop.